The Moon is Full in Leo, February 10, 2017 at 7:34pm ET. It’s also a Lunar Eclipse that can be seen across many parts of North America, especially the northeast. Oh, and there’s a comet, too. Leo is putting on quite a show! All in all, the aspects are very nice for this Full Moon. Trines to Saturn in Sagittarius, Uranus in Aries, and a sextile to Jupiter in Libra give the Leo Moon lots of confidence, passion, and big-hearted generosity. 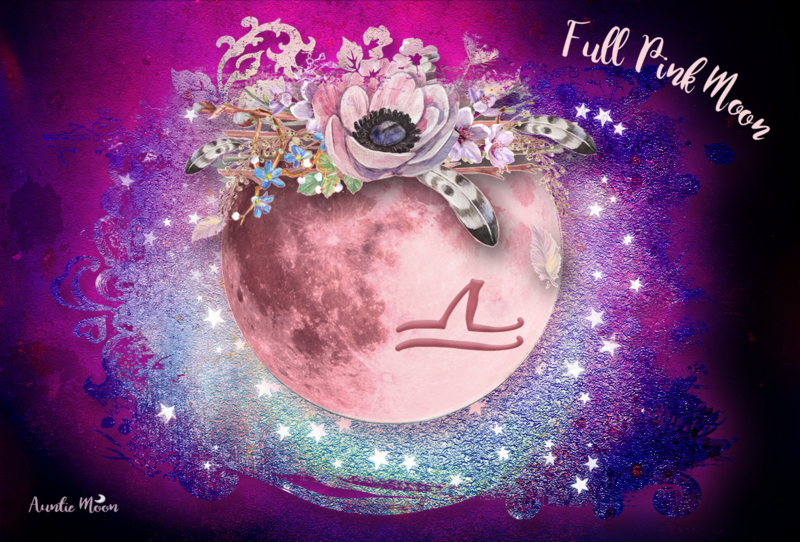 The degree of the Full Moon is 22Leo28, making it a powerful Moon for those born with Pluto in Leo round about September 1951 to September 1954. Normally, Full Moon effects last about two weeks. This being an eclipse, however, lengthens the time to about six months. IF, IF you have planets 20-24 degrees of the fixed signs, you may notice these eclipse effects in areas related to your house containing those degrees. Since I’ve never gotten a grip on how to control anything lil ol’ Pluto does, I’m taking the Scarlett O’Hara approach: “I won’t think about that now. I’ll think about that tomorrow.” So I put my faith and trust in the powers that be and hope for a better day. Que sera sera. Whatever will be, will be. In the meantime, I do have some ideas for ways to work with Moon Water and Blessing Salt for this Full Moon. I made my first Blessing Salt last month and have already blended up my salt for the Leo Full Moon. Blessing Salt isn’t for cooking, though if you used just the right ingredients there’s no reason why you couldn’t cook with it. Kitchen witches take note! Add your blessing salt to water (or Moon Water!) to make a very special sea water to use in ceremonies or around your home. Don’t put it on plants, though. Plants and salt are not a healthy mix for the plants. The right mix is 3½ teaspoons of salt to 4¼ cups of water. You’ll need to use the water quickly if you use herbs in your blessing salt ~ before they sour the water. For the Full Moon of 2017, you can set your containers out on the nights of February 9th or 10th with the 10th being the most powerfully energetic of the two nights. If you are not able to do this on the 10th, the Moon is in Leo (though not exactly full) on the night of the 9th. I used both regular table salt and pink Himalayan salt for this mixture. I added herbs associated with the Sun and Leo: orange zest, sesame seeds, chamomile, rosemary, juniper berries, cinnamon, calendula, rice, and some oak shavings from my woodpile. I then put in a few drops of rosemary and sweet orange essential oils for their delicious aromas. The beads are sun stone. That seems like a lot of stuff to add. What you add is up to you. Use as few or as many herbs and flowers as you would like, or add nothing at all. Some other suggestions for Leo herbs are lime zest, dried pineapple, sunflower petals or seeds, chicory, and bay leaves. Do what Leo does and get creative. You can leave the herbs as are or blend everything into a finer powder before mixing with the salt. I like the look of the rough herbs. I think it adds character to the salt. Say a blessing over your salt, cover it, and leave it in the moonlight overnight. You don’t have to put it outside if the weather isn’t agreeable. Setting it on a windowsill or floor is just fine. If you are suffering bad weather and can’t even see the Moon, don’t worry about that, either. The Moon knows and will send her goodness any way. To make Moon Water, simply set some water in the moonlight on the night of the Full Moon. After you’ve made your Leo Moon Water, what are you going to do with it? Leo is associated with creativity, so engage yours and imagine all the different ways you can bring the Moon indoors by using your Leo Moon water. To get you started, here are six ideas on how to put yours to practical or magickal use. If your Moon Water was covered with a tight fitting lid, the simplest way to use it is to drink it. I like to think that it will make me feel like this little kid in The Sun card ~ a wonderful card for meditation under the Leo Moon. The child always seems so carefree and happy. It’s easy to identify with the child, but can you also identify with the sunflowers? They look they’re going to jump up and dance. And what would it feel like to be the Sun bringing life, light and joy to everyone you touched? Nice, huh? Now there’s a great goal for this Full Moon period. Use Leo Moon Water to brew a cup of Chamomile tea. If you use frozen orange juice concentrate, use your Moon Water instead of tap or spring water. Add your Moon Water to a mister bottle and use it when you want to chase negativity out of the room and bring in some happiness and joy. Add several drops of sweet orange to the misting spray to enhance the emotions associated with joy. Use Leo Moon Water for mixing with tempera paint or water colors. Children (or you) might enjoy painting big bright Suns with this very special water. Add a little vodka to your Moon Water to use it as a Leo Florida water. Splash it on when you need to lift your mood, remind you to be a gracious leader, or to live your life with purpose and by embracing your talents. Mountain Rose Herbs gives a long list of oils that blend well with sweet orange: “basil, bergamot, black pepper, cinnamon, clary sage, clove, coriander, eucalyptus, frankincense, geranium, ginger, grapefruit, jasmine, juniper, lavender, lemon, litsea cubeba, marjoram, myrrh, neroli, nutmeg, patchouli, petitgrain, rose, sandalwood, vetiver, ylang ylang.” Think of all the unique perfumes you can create with any number of combos! You can add your crystals to your container before setting out your Moon Water or just keep the stones near the container, if you aren’t comfortable adding them. Some stones associated with the Sun and Leo are: ruby and peridot (birthstones of July and August, respectively), citrine, amber, carnelian, and sun stones. Lots of gardeners are starting their seeds indoors now. 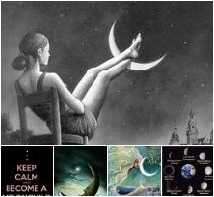 If you haven’t started yet, it’s best to wait until after the New Moon so that you’re working with the aid of the waxing Moon. Set a gallon or two of spring water out in the moonlight so you’ll have a hefty supply on hand to water your seedlings. I hope this helped you find some fun and useful ways to use your Leo Moon Water. If you have more ideas, I’d love to hear about them in the comments section.